A habitual movement as common as nail-biting or toe-tapping can be the key to pulling out addictive behavior by its roots. These unconscious movement "tags" indicate the places where our bodies have become split off from our psyches. When brought to consciousness and confronted they will often tell us very plainly where our psychological suffering originated, showing us where to begin reconnecting body and soul. 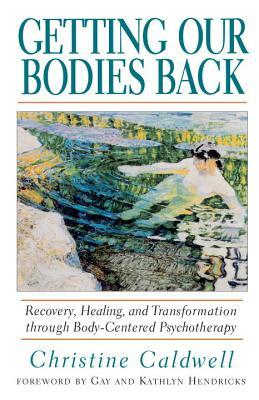 Christine Caldwell, a pioneer in the field of somatic psychology, has created an original model for working with body wisdom called the Moving Cycle. She describes how this form of therapy has worked effectively in her own practice, and she provides practical techniques to show how we can learn to listen to what our bodies are telling us, confront addictive habits, and learn to celebrate our inherent wisdom and elegance. Christine Caldwell, Ph.D., is a somatic therapist in private practice in Boulder, Colorado. She is the founder of the Somatic Psychology Department at the Naropa Institute and the director of the Moving Center, also in Boulder.